Whoever said fine jewelry had to be perfectly crafted from diamonds and classic gemstones surely never met jeweler, Jorge Adeler. Adeler's unusual but spectacular high jewels stretch the idea of organic right out of our solar system. 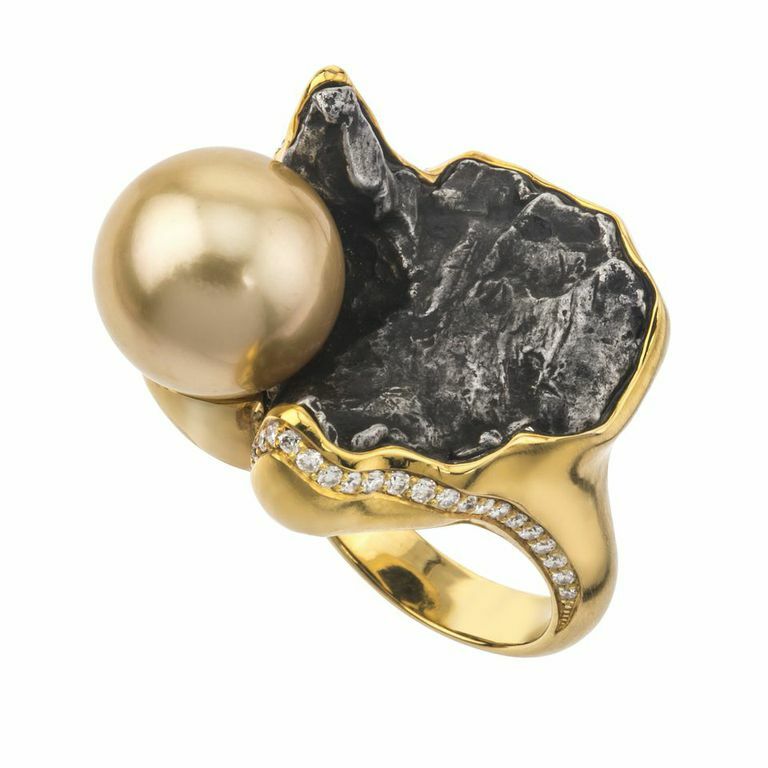 His unorthodox pairing of Meteorite with diamonds and pearls blends the soft, imperfect ideal of nature with the unlikely and unassuming mystery of outer space. If this sounds like a wacky idea, just consider that as citizens of planet earth we are all used to claiming our resident natural resources without a second thought, but what of those bits from beyond, that surface from another place, another world altogether that survived a journey and purpose completely unknown to us. Where did they come from? How did they get here? Now consider these newly-created precious jewels as a beacon to the universe, a bejeweled hand outstretched to the sun, the moon and the stars, accepting this gift of other-worldly beauty that's been bestowed upon us. I guess you could say it's the good old-fashioned gravitational pull of glamour.